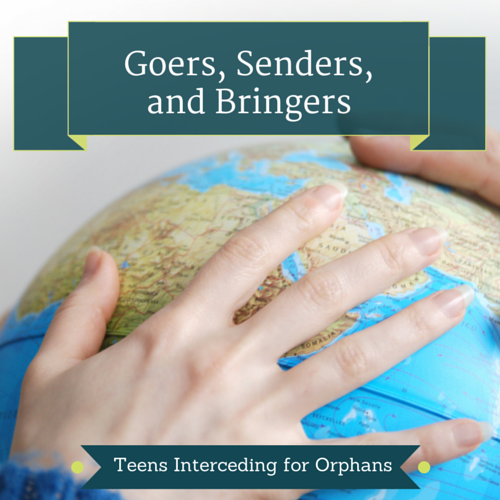 Goers, Senders, and Bringers – Which Are You? Missionary mail stacks up quickly at my little church. As a member of the missionary committee, one of my jobs is to sort the missionary mail out from the bills. Sometimes it also falls to me to read the mail. Several months ago as I read through the newsletters and personal notes, I came across a brief comment that stuck with me. Most Christian ministries currently lack two things: long-term workers and adequate financial support. Since reading that, I’ve thought a lot about the need for senders (those who provide financial support to missionaries) and goers (the people who actually go on the mission field–whether that be in the US or abroad). 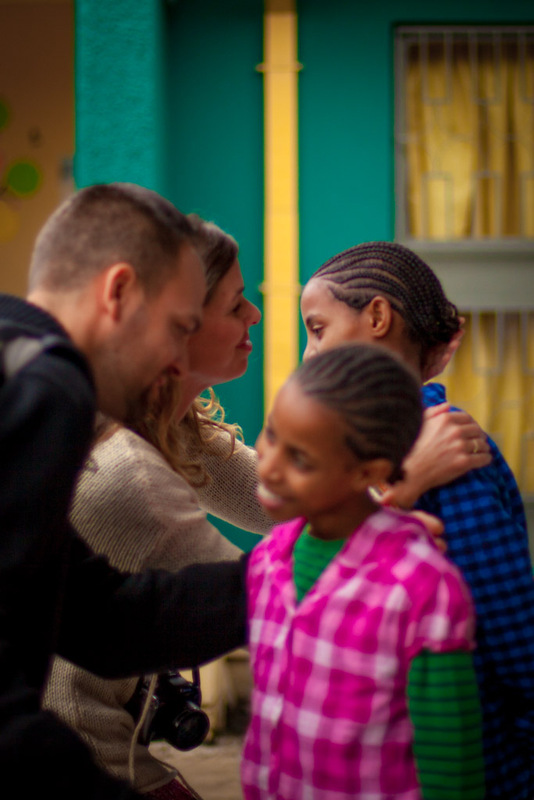 In the realm of orphan care, there are also bringers (the people who bring orphans into their homes and families). Each of these roles are of great importance as we try to serve orphans. As members of the body of Christ, each person has a different role that contributes to the overall purpose. Which of these roles do you fill or can you see yourself filling? Right now I’m a sender. I’m not currently in the place to be a bringer, and I’ve only been a goer for a very short missions trip. 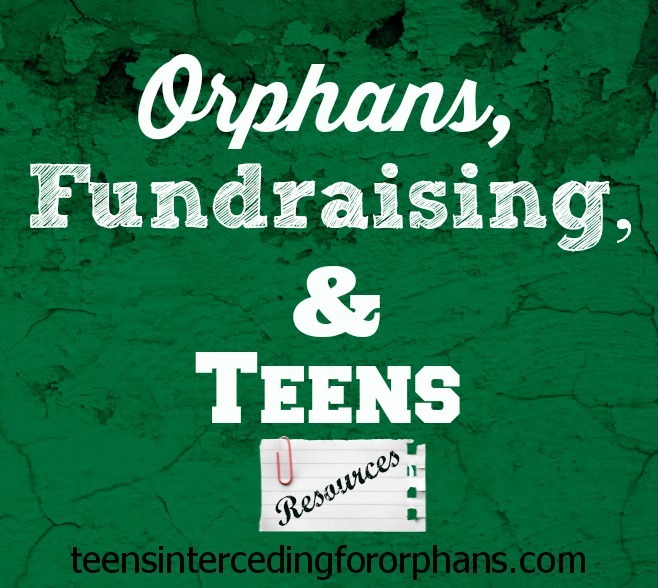 This blog provides a support role to orphan care, and I love financially supporting orphan care ministries whenever possible. In the future, I could see moving into any of the three roles. Each have their own unique importance. Does one role appeal to you more than the others? What do you see as the pros and cons of the different roles? It’s been fun to spend the last few Fridays exploring how teens can financially support orphans. The fundraising ideas are truly endless. Just type “Fundraising Ideas” into Google and you’ll find enough content to keep you busy for hours. I could continue listing ideas here, but I think the past few posts have enough to get you started. If any of you implement the ideas discussed in these posts, I’d love to hear about it! Leave a comment or use the contact form to send me an email. To close out this series on Teens and Money, I’d like to leave you with a few resources you can either use yourself or recommend to adopting families. All of these resources are meant for adopting families, but I think they can be useful either way. 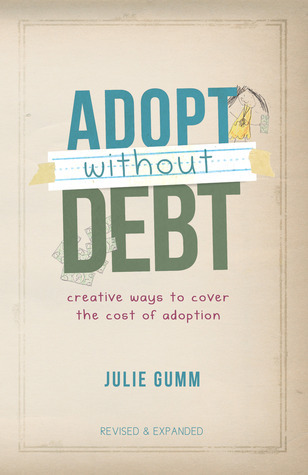 Adopt Without Debt . The handy little book has TONS of fundraising ideas and how-tos. The first half of the book focuses on how to get out debt, budget, and save money. The second half is devoted to all those fundraising ideas. I really enjoyed reading through all of them. Next time someone I know is planning to adopt and needs to fundraise, I’ll definitely recommend or gift this book to them. It’s fairly short, so it isn’t a burden to get through reading it. Since money is the number one reason interested families never pursue adoption, many adoption blogs do posts on how to fundraise. 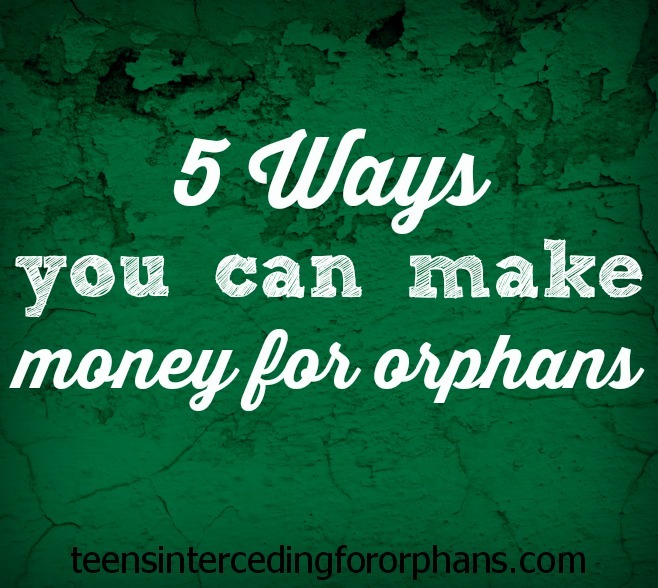 Most of the ideas could be used to raise funds for any sort of orphan care, not just adoptions. Here are a few posts that I’ve stumbled across and liked. Many of the suggestions on each blog post overlap with the suggestions on the others. They all bring some unique ideas and perspectives, though. Just for fun, I thought I’d share some “Rebelutionary” projects and fundraisers other teens have undertaken. Not all of them are for orphans, but they’re inspirations for what teens can accomplish. Part one of the Teens and Money series. As teenagers, many of us bemoan our lack of cash. How can we help with money intensive orphan care activities like child sponsorship, charity donations, and adoption support? These concerns are valid, but we miss an important part of the picture when we focus on this line of thought. We forget to realize that most adults don’t have excessive spare cash either. What’s more, adults have to worry about paying for bills, supporting families, paying mortgages, and so much more. As teens, most of us don’t have those responsibilities yet. We’re also rich in something most adults aren’t. Time. Yes, I know. We’re all busy. We have sports practice, school, homework, party invitations, maybe even a part time job. Even with all that, we usually have more time. We know we can be more productive if we really try. That homework might go faster if you skipped the social media rabbit trails, and while parties are fun, we don’t have to say yes to all of them. So, it turns out that we’re not in such a bad place to be financial supporters of adoption and orphan care after all. We have fewer responsibilities and more time. To top it off, most teens have more energy than adults. Just check out this verse from Proverbs. So how do we turn our relatively free and energetic teen years into opportunities to support orphan care and adoption? Here are some ideas for how you can raise money. Normal teenager jobs. It seems like the majority of industrious teens have turned to jobs like lawn mowing, babysitting, leaf raking, and snow shoveling as early sources of income. When people know their money will be going to a charitable cause, they’ll be even more willing to hire you. You can go beyond these “normal” ideas as well. Several of my friends have earned good money cleaning houses, teaching music lessons, and tutoring. Put your skills to work! Craft Sales and Etsy. Several years ago when friend of ours were starting their second adoption journey, a few of my friends and I put together a craft sale so we could help with their expenses. It wasn’t fancy. We sold hair scrunchies, paper boxes of candy, and Christmas ornaments at our homeschool group’s Christmas party. The $50 we earned didn’t look like much against the $30,o00 adoption fees, but when lots of people give small amounts, it piles up fast! Gifts of Grace is an etsy shop run by teenager Emilie Hockman. She’s currently donating her earnings towards an adoption. Fundraisers. I often see sports teams and charities hosting car washes and bake sales to raise money. There’s no reason teens can’t use one of these tried and tested fundraising techniques. One neat idea I’d love to try someday is a gift wrapping station around the holidays. So many people dislike wrapping Christmas presents. How cool would it be to do gift wrapping instead of car washing? Selling Door-To-Door. Don’t panic. I did this when I was pretty young (11 or 12) and had a lot of fun with it. Being a young person can be an advantage for this. People are less likely to turn away a fundraising teenager than an adult doing door-to-door marketing. I used Dutch Mill Flower Bulbs when I did it years ago and earned around $250. I’ll bet an older teen with a more strategic approach and charitable cause could earn a lot more. A quick Google search reveals lots of other fundraising companies providing items like chocolate and gift wrap instead of flower bulbs. Sell on Amazon or Ebay. Rebelutionary Megan Cupit wrote an article explaining how her family started selling books on Amazon and giving the proceeds to the Bible League. They raised more than $1,000 in just five months. You can read her article to find out how they did it. Does the large price tag attached to orphan care and adoption scare you? 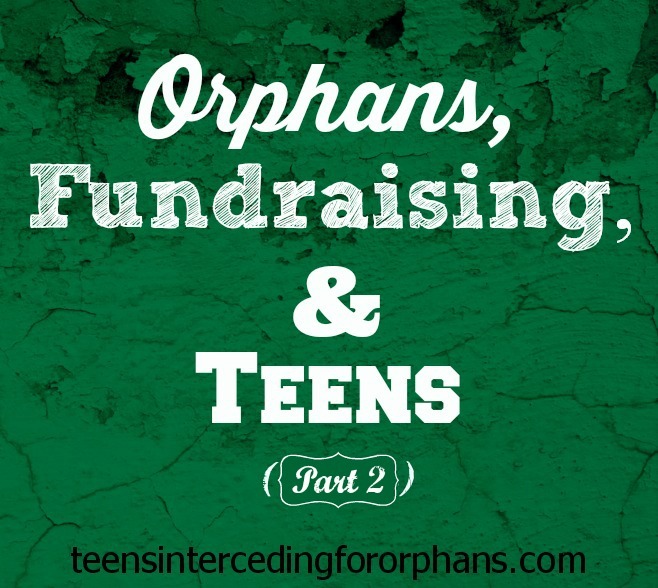 Have you done any fundraising activities to raise money for orphans or other causes? Do you think you can implement any of the ideas presented in this post? Do you have any questions about raising money to help orphans, how to chose who to donate to, or anything else related to this topic? Ask in the comments below and I might devote a future post to your question!